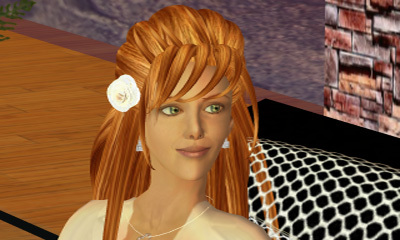 Around mid-2004, when I first started thinking about Second Life® and what it meant (those were the days when I thought this was actually a sociology experiment, disguised as a video game), I came to the surprising realisation that something that I always found to be rock-solid was actually malleable, even plastic. I was observing my own self. You have to take into account that in my teens — the last time I gave a serious look at my own self — neuroscience was not so advanced as it is today. We were still taught the prevalent opinion of the 1980s, stating that the neural connections in the brain sort of “solidify” around your puberty. Science recognised that the brain of a foetus has to have “raw” connections — after all, we are all born with some innate, instinctive behaviours, like sucking at our mother’s breasts — but that most of them were still “plastic” enough to be shaped by the first years of being subject to external stimuli, playing, and, later, more formal training and education. However, it was believed that after your teens, this ability of “rewiring” existing neural connections would not go much further on; about the time you were at the “peak of adulthood” (roughly around 25 years), the brain was fully formed, and the slow decline and deterioration would begin. Nowadays, we all know this isn’t true (brain cells can continue to grow and be replaced, and neural connections can continue until the end of your physical life). But with my 15 years I didn’t know that. So, I looked at myself, and wasn’t happy about the way I was. I hated being shy, introverted, and socially inapt. So, well, I thought this was my last opportunity to make a change, until it was too late. And change I did; if for the better or for the worse, I don’t know, but at that time I was particularly surprised at how easy it was. Then, well, after my 20th birthday or so, I simply never worried about this again. I was still aware of having been that odd, ugly kid at high school which was scorned, ignored, and laughed at; those memories were still present. But I was quite self-confident at that time and thought that I had “grown out” of it. Certainly through some serious effort of mine, sure, but I wasn’t too much worried. Adulthood had far more complex challenges (or so I thought!) than worrying about my own self — I just got absorbed in my studies, and later in my work, and there was really no much time to think about my self again. The occasion never rose, and I didn’t deem it to be “important” anyway: I was who I was, and, in any case, science would tell me that my brain was now “frozen in place”, so any opportunity to change it was lost anyway. I never thought about this again until I started logging in to SL regularly. My experience in SL was weird at the start. Since there was a certain level of detachment — in the sense that I could observe what was happening in front of me, in the virtual environment, I could see the way my avatar related to other people, and, most important, what kind of ideas they made about myself. Curiously enough, they got slightly different reactions to what people have towards my real self. Of course some is “lost” through the more narrow range of senses in SL. After all, images in SL have less resolution than in SL. In 2004, the only way to talk to people was via chat, and text-based communication is different than voice communication. You can’t smell people, and body language is very reduced (but not non-existent!). I first attributed the change in perceptions to the narrow channel of those “limited” senses. Clearly, however, this wasn’t the whole explanation. The notion of “limited senses” is just a convenient excuse. After all, on my daily routine, I chat on other media too; I write emails; I get phone calls (fortunately, less and less of those!). All these are also “limited” in several ways. Nevertheless, most people I communicate with react to my physical self in pretty much the same way when they are in my physical presence. Thus, physical presence, by itself, is not the conditioning factor. And why? Because the amazing pattern-matching and processing abilities wired in our brains is most excellent at dealing with limited information. In fact, this goes to extreme cases, when you consider the simple issue that the brain sees things that are not there: we all have a rather large blind spot in our eyes (the place where the optical nerves enter the eye), but we’re never aware of it. The brain just compensates. Or, more correctly, the awareness bit of the brain just gets processed information which does not contain the big, black spot where there is no visual information. We don’t “see” (in the sense of data processing of visual input) the blind spot and just conveniently ignore it; no, our awareness does not include the lack of visual data at all. We see contiguous visual information all the time. Similarly, although we all know that we just see about 22 frames per second, we’re not aware of individual frames.We can’t tell ourselves, “I’m seeing just snapshots of the external world, continuous movement is just an illusion of my brain”. We simply don’t think like that. We can’t “freeze” a frame and analyse it, or discard frames, or anything like that. Even if we know, at an intellectual level, that we just get snapshots and there is no real “movement” out there, that’s not what we’re aware of. The brain just compensates and translates and interprets everything as “fluid movement”, even if no such thing exists in reality. So, well, when we’re on a phone call, we also compensate for the lack of visual input. We don’t behave so differently on a phone call with a good friend — we can imagine their face when they laugh, for instance. The lack of information is not a crucial factor for our so well adapted brain. The narrower bandwidth of a communication medium is usually not a problem. So we can “feel” we’re in the “presence” of a friend when we call them up, even if that’s really just our brain tricking us to believe that, because it’s so good at tricking us all the time. And, of course, we all know that this is an evolutionary trait: the skill we have to look at tell-tale signs in the surroundings and start running well before we see the tiger jumping at us. Being able to deal with incomplete data, getting it right most of the time (the ones that didn’t manage that have quickly dropped out of our gene pool and made some happy tigers in the past), and being able to react in a fully functional is a consequence of the way our mind works. If one discards the lack of information as the cause of people perceiving a different self, what else remains? I had to conclude that my self is, well, not the same self. It’s almost the same one but not quite the same. This confused me, since, in a sense, I was still stuck with the old idea of a “frozen” neural structure in the brain of my tender teens. If my self was “frozen” decades ago, how could it possibly change now? Thus, I postulated the notion of a sharded self. Unlike what I originally thought, the self — whatever that is — cannot possibly be physically “frozen” and be something immutable (even after your teens). It has to have several “components” that are pretty much assembled (and broken apart) depending on such things like your mood, for instance. But under the influence of some drugs (alcohol was the one that came to mind), some of those “components” might surface temporarily to the forefront, and thus the behaviour might change, in a manner quite unlike what others would consider “the normal self”. Anyone who has seen their best friends drunk and behaving in quite a different manner would recognise this immediately (it’s far easier to see that happening on others than on yourself!). But after the effects of those drugs, the self would return to “normal”: so there was a certain amount of plasticity built-in into the brain, but not too much, since, of course, unless you have severe psychological disorders, you will pretty much “return” to your own self sooner or later. This altered state of behaviour, an alternative self, is seldom too different, and definitely only temporary — or so I thought. SL is not exactly a psycho-active “drug”, but being immersed in SL definitely triggered the same kind of “shard shifting”. The in-world Gwyn behaves slightly differently — and is thus perceived slightly differently — by the off-world Gwyn. This is something I don’t even need to force, or concentrate, or make any kind of effort. It happens naturally. And, to be honest, I wasn’t even really aware of any change to my own self — I just observed how others reacted. In some funny cases, people I know iRL react differently to me in-world than off-world, and this, of course, was quite baffling.